Whether it’s an entrepreneur starting out in an office or garage or if it’s a Fortune 500 company, any business must be visible to potential customers before a sale can be made. In most cases, awareness of a company is created through great stories, which elicit engagement and relationships with those potential customers. Whether dealing with website traffic, email subscriber data growth, social media accounts, or hundreds of other engagement metrics, they’re all interconnected by one thing: an attempt to create a continuous relationship between the customer and the business. With so many companies marketing that way, though, how do you stand out in a sea of legitimately competent competitors? PAN Communications is an integrated marketing and public relations agency based in Boston, Massachusetts, United States. They focus on B2B technology and health care industries that want a customer-first business model. They deliver this through PR and social, content, and influencer marketing. They also use data analytics and creative services. 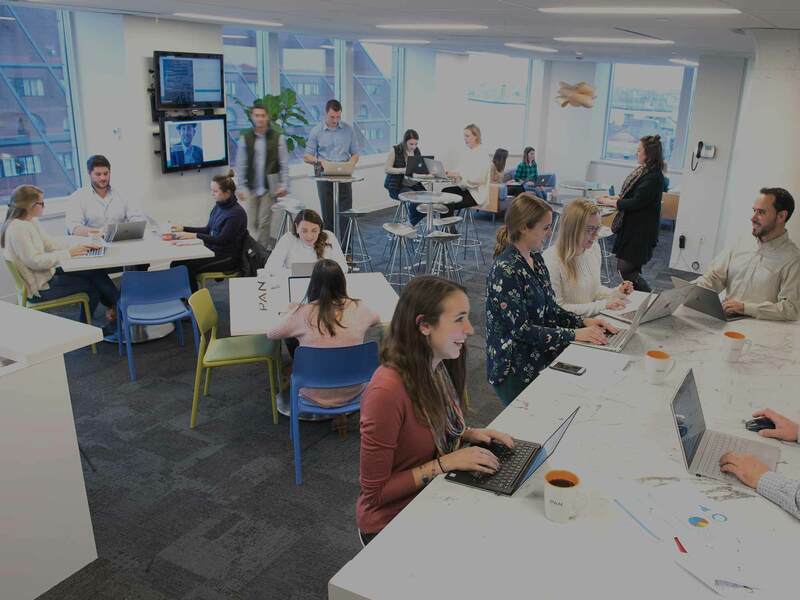 The company’s ability to bring resonant, engaging stories to life contributed to them winning the 2018 Gold Stevie® for Public Relations Agency of the Year at The American Business Awards. PAN Communications is one of the industry’s most trusted communications partners., It demonstrates that it takes an entire team of dedicated marketing and PR specialists to help clients exceed expectations. Success in any venture doesn’t happen overnight. No matter how good you are at something or how certain you are about how to improve a problem, it takes time to develop and to hone sustainable relationships with your audience or paying customers. The success of PAN Communications is due to the firm’s unique ability to offer the agility and personalized service of a midsized agency while also leveraging national and international relationships. This allows them to manage large-scale communications programs for brands such as SAP, AppDirect, Radial, and MediaMath. PAN Communications provides services, moves ideas, and builds relationships with customers at a level which competitors find difficult to match. The PAN Communications business model demonstrates one thing clearly: Successful businesses must make their services and messaging available to potential customers over a variety of platforms. The belief that great people can do great things is an underlying tenet of the PAN Communications mind-set. That’s why they focus on putting people and culture first. PAN Communications also believes in giving back to the communities that built the foundation of their agency. To that end, the firm launched a philanthropic program, PANcares, in November 2017. This allowed the agency to become involved in its local markets more consistently. As part of the program, PAN Communications partners with four nonprofit organizations dedicated to fighting against youth homelessness. Representing a cross-country collaborative, the partners are based in Boston, Massachusetts, United States; San Francisco, California, United States; New York City, New York, United States; and Orlando, Florida, United States. As PAN Communications demonstrates, today’s PR agencies must distinguish themselves by delivering exceptional services and innovations to their clients. As a result, the industry is thriving. Brands demand more from agencies than ever before, asking these companies to prepare them for every stage of growth and to act as trusted partners along the way. PAN Communications is just one agency that shows the exceptional results that are possible when that happens. The sentiment also simply makes sense. The art of storytelling has connected generations, communities, and cultures for as long as humans have existed. Storytelling—or, in a broader sense, communication—is a foundational pillar of any civilization, culture, or people. The story and the emotion it elicits are why songs sell and why people celebrate holidays, attend events, and, ultimately, make purchases. PR tells a company’s story, and that story often connects a business with people in a stronger way than an often-overlooked print ad or a radio clip that goes in one ear and out the other. PR doesn’t act in a vacuum, though. PR, marketing, and advertising are all connected, and this trifecta can make or break a brand. PR and marketing services are changing and evolving in the world’s fast-paced, global, and tech-saturated economy. Business analysts already project marketing services will be greatly affected by advancements in artificial intelligence. Now, agencies are converging PR and marketing services to compete and to rise above the digital clutter. This makes sense, given PR and marketing are connected at their cores. Offering digital marketing and PR services in tandem only strengthens the deliverables and elevates the brand. This isn’t a new idea; it’s just being reinvented on a digital platform. SparkPR, who won the Bronze Stevie® for Public Relations Agency of the Year in the 2018 American Business Awards, has 20 years of experience in digital marketing. Specializing in helping innovation-minded companies transform their brands with powerful storytelling programs, SparkPR uses the latest digital analytics to amplify PR programs. Services include content and social development, programmatic distribution, paid media, and data-driven insights to inform strategic planning and to measure go-to-market plans. This strategy has proved successful. Some of the world’s most innovative startups and industry leaders, including eBay, Electronic Arts, Flickr, Mozilla.org, Nokia, NVIDIA, Skype, the Economist, Trulia, Verizon, Visa, Yahoo!, and Walmart Labs, have partnered with SparkPR and reaped the ROI. The methods SparkPR uses are adaptable to quickly growing tech and investment programs, too. 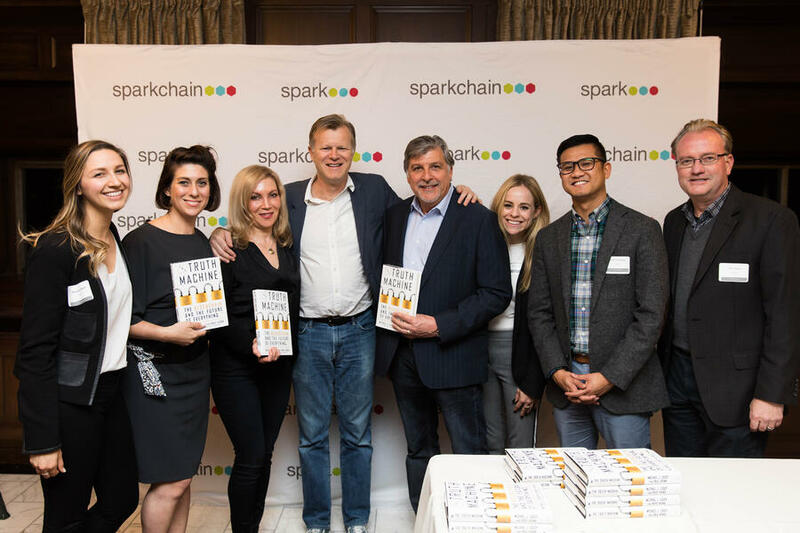 For example, SparkPR provided comprehensive strategic communications and marketing services for blockchain and cryptocurrency leaders through what they call “Sparkchain.” This guides successful token sales to growing companies post-ICO, and Spark has emerged globally as the preferred partner for these highly specialized services. The company’s ability to deliver has strengthened startup opportunities. A startup that might normally prepare for months to secure venture funding is able to create a business, launch it, and raise tens of millions of dollars in less than three months. “Funding was secured for concepts, not betas, and money was often from wealthy individual investors, not VCs,” says Spark's co-founder Donna Burke. Zucker develops strategies for written and creative content for their clients. She notes that many of the company’s startup clients successfully exit through acquisitions or go public through IPO, thus demonstrating how a successful partnership with SparkPR delivers ROI. SparkPR aims to constantly stay updated with developments in cutting-edge technology, as well as to maintain the ability to translate those changes into a wider landscape. SparkPR is one example of a company that has sought to raise the global tide and is fighting to stay ahead of the rapid changes. They also seek to be adaptable by offering various mobilized marketing and PR services, which have traditionally been separated—at least by department in the business world. True to their storytelling mind-set, SparkPR believes their client successes and awards, such as the recent Stevie Award, will elevate their brand as well as their story, as the world enters a new digital age of marketing and the Internet. And, as Branson aptly stated, that story will do far more for them than any front-page ad. High-achieving organizations and executives around the world have been recognized as Gold, Silver and Bronze Stevie® Award winners in The 15th Annual International Business Awards®, the world's only international, all-encompassing business awards program. Nicknamed the Stevies from the Greek word "crowned," the awards will be presented at a gala event on Saturday, 20 October at the InterContinental London Park Lane Hotel in London, United Kingdom. Tickets for the event are on sale now at www.StevieAwards.com/IBA. Gold, Silver and Bronze Stevie winners were selected from more than 3,900 nominations received from organizations and individuals in 74 nations. 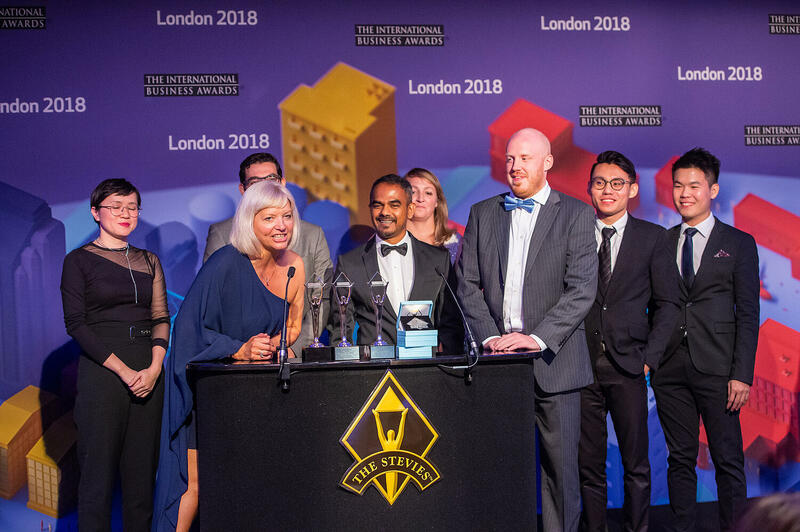 All organizations worldwide are eligible to compete in The International Business Awards, and can submit entries in a wide range of categories, including management awards, company of the year awards, marketing awards, public relations awards, customer service awards, human resources awards, new product awards, IT awards, web site awards and more. 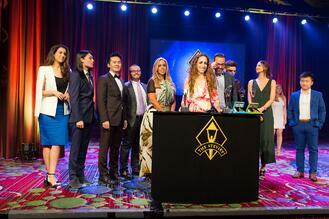 More than 270 executives worldwide participated on 12 juries this year to determine the Stevie winners. Among the top winners of Gold Stevie Awards are Telkom Indonesia with 14; Switching-Time, China (six); ASDA’A BCW, United Arab Emirates (five); Makers Nutrition, USA (five); PJ Lhuillier, Inc, Philippines (five); and Reklam5 Digital Agency, Turkey (five). 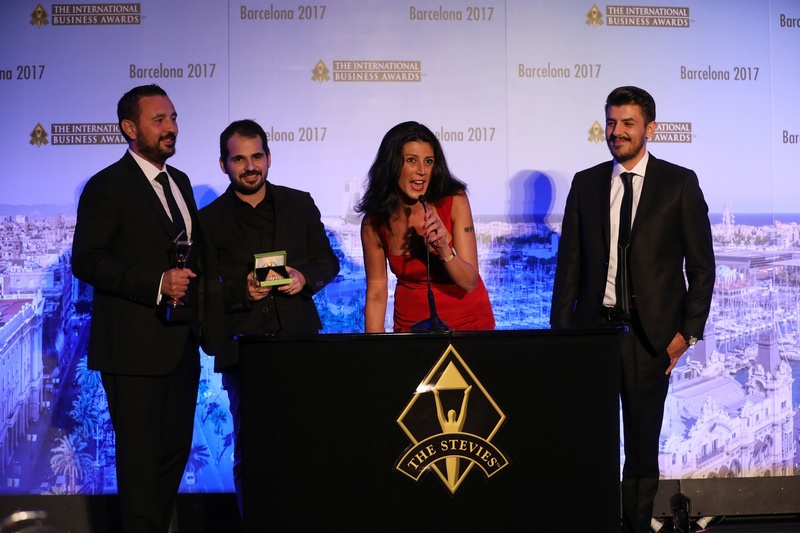 Winners of four Gold Stevie Awards include Akbank, Turkey; Cisco, worldwide; FIS, USA; GXEVER, China; Jeunesse Global, USA; LLORENTE & CUENCA, Spain; Magnet20, Turkey; Ooredoo Group, worldwide; PT Petrokimia Gresik, Indonesia; Ribose, Hong Kong; Thai Life Insurance, Thailand; Turk Telekom, Turkey; and Yapi Kredi Bank, Turkey. DHL Express, worldwide, have 46 Gold, Silver, and Bronze Stevie Award wins. Other organizations with eight or more Stevie wins include CROWDCONSULTANTS 360 Gmbh, Germany; Manila Electric Company, Philippines; Marco de Comunicación, Spain; Port It Global, Kenya; Sahibinden.com, Turkey; Thai Life Insurance, Thailand; Twenty Twenty Media Pvt. 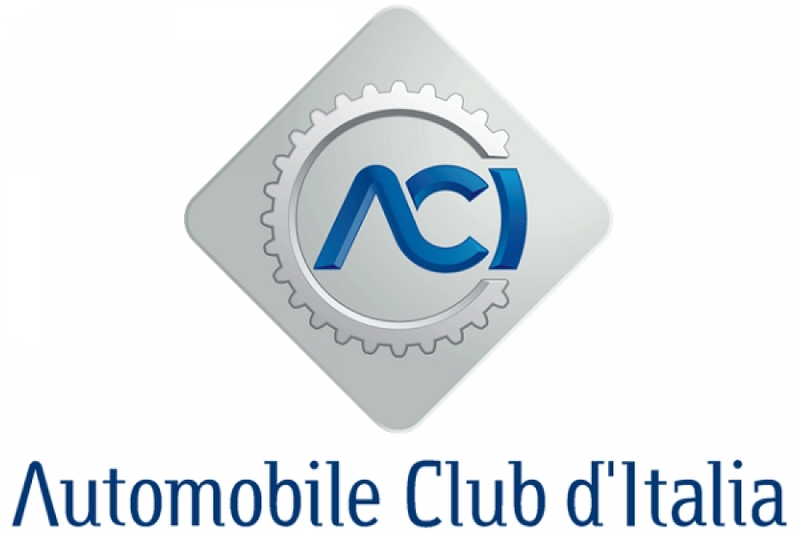 Ltd, India; and Vakifbank, Turkey. The five countries that have the most winning nominations are the United States, Turkey, South Korea, the United Kingdom and Indonesia. A complete list of all 2018 Gold, Silver and Bronze Stevie Award winners by category is available at www.StevieAwards.com/IBA. During the week of 20 August the winners of the Best of the IBA Awards, five best-of-competition prizes, will be announced. 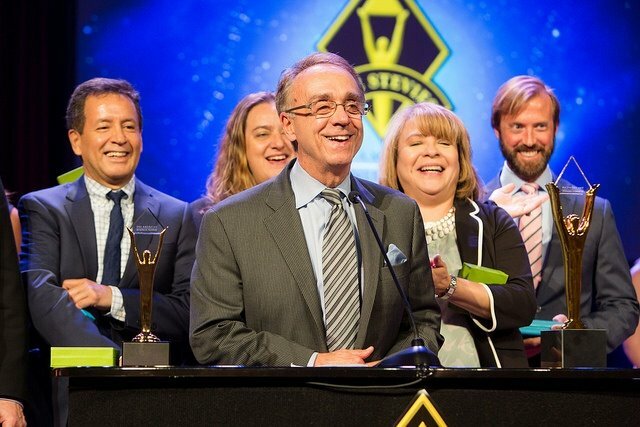 Winners will be determined by a tally of the total number of Gold, Silver and Bronze Stevies won by organizations, and will be presented with Grand Stevie Award trophies in London. Public relations teams strive to represent people, companies, services, or messages in a favorable light. Ahjo Communications is a public relations agency in Helsinki, Finland that considers itself an organization that achieves that goal with creative fire. 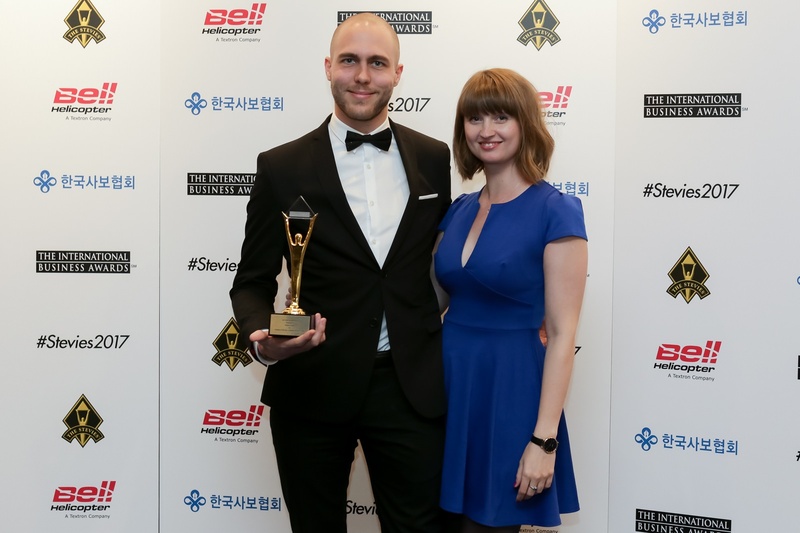 Their vision to be known for renewing communications and the communications culture has led them to winning both a Gold Stevie® for "Crisis Communications Campaign of the Year” for their work with Heart Hospital, and a Silver Stevie for Communications or PR Campaign/Program of the Year in The 2017 International Business Awards. Ahjo has been the Finnish affiliate of Weber Shandwick since 1992. Weber Shandwick is a leading global public relations firm with offices in 81 countries around the world. 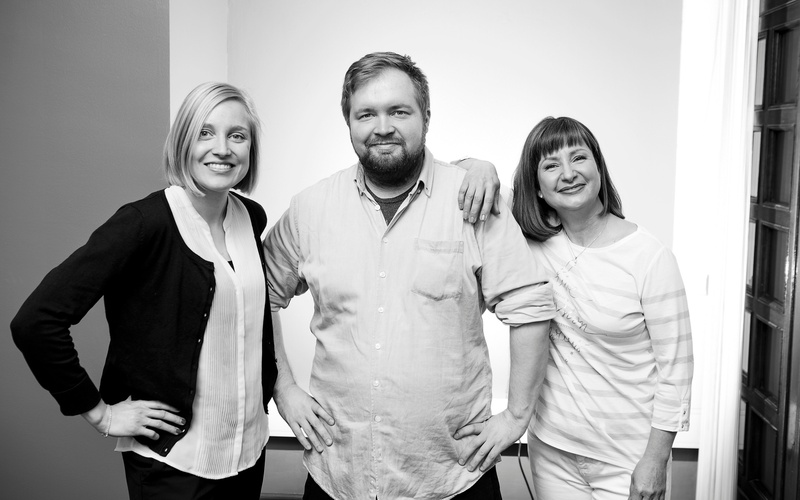 The Ahjo team consists of Senior Advisor Sari-Liia Tonttila, who is one of Finland’s leading crisis communications experts with experience in various company crisis communications; Communications Consultant Eeva Louko, a former journalist; and Senior Consultant Meri Marttinen, who has a background in healthcare and consumer communications in which she focused on developing influencer marketing. Ahjo Communications acknowledges that their success has come from many facets of their lives. Senior Advisor Sari-Liia loves to ski, exercise in nature, and come up with great, big ideas for her clients. “[Sari-Liia] is an example of a person who works for her goals to achieve them: she wanted to bring the world-leading PR summit, ICCO, to Finland for the first time. Her work paid off. Now this year ICCO is organized in Finland!” says Marttinen. Marttinen dreams of learning as many languages as possible, and Eeva will definitely write a book. With effective communication to implement business strategy and supportive, strong networks, future pioneering positions are likely to grow in their market. Ahjo Communications provides workshops for professionals and business owners who want to build on their established platforms to reach career specific goals. Ahjo does this by designing workshops to meet strategic and developmental needs of executives and department leaders. In the ‘Idea Leadership Workshop’, Ajho Communications helps business leaders crystallize ideas or brand goals in an understandable, pragmatic form that employees, stakeholders, and customers can carry with them and share. Ahjo Communications wants to help you grow.